So you love making and may have sold your products at Brighton Craftaganza or other craft events. But how do you go about taking your passion online? In this blog post the Create crew share their top tips for ecommerce success so you can draw from the wealth of our experience to support you through your next exciting steps. 1, Plan your website before building it. Before you have launched your first website this can seem like a really daunting task. However, clear planning can make the building process a lot easier. Collect some images that you can use for the website that show off your product and yourself and write some basic copy that communicates what your brand is about. Choose some brand colours that fit well together. This will form the basic content of your website and you can build around that. Plan out the pages before starting a build. What do you need and how should they connect together? It may help to draw this out in a simple spider diagram. You can see more tips on how to build a great website here. 2, Think about your imagery. Having images on your website is important as it will make it look interesting, personal and unique; plus people need to see the products they are buying. Therefore, photography should be clear, simple and well lit. Product images are a fantastic opportunity to show off your items. These should have a uniformity of style and fit with your overall colour scheme. Check out more website photography tips here. 3, Know your legal requirements! This is super important if you are selling online as you need to adhere to government guidelines. The Sale of Goods Act requires products to match the quality that they are described as being in so bear this in mind when writing product descriptions. Health and Safety rules mean that products sold must be safe and producers should include safety information and warnings where necessary. The Consumer Protection Act means that you must provide certain items of information on your ecommerce website, such as company identity and address, clear pricing and details about delivery and returns. This is a very basic overview of some of the relevant acts but you need to understand these in detail. You can read more about legal requirements for online sellers here. Once you have your website up and running you need to let people know about it, so having profiles on social media networks such as Facebook and Twitter will help you to make new friends and share your news. It also helps your website to be found if you have active social profiles as it will boost your SEO. You could use your accounts to promote special offers and events you will be selling at (like Brighton Craftaganza!). Just remember to make sure all your social media profiles are easily navigated to from your website, ideally your home page! Find out more about managing social media with your business here. 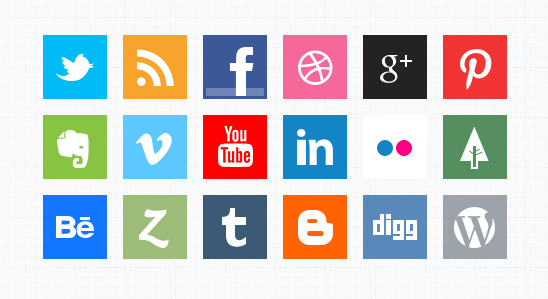 So many social media platforms!!! 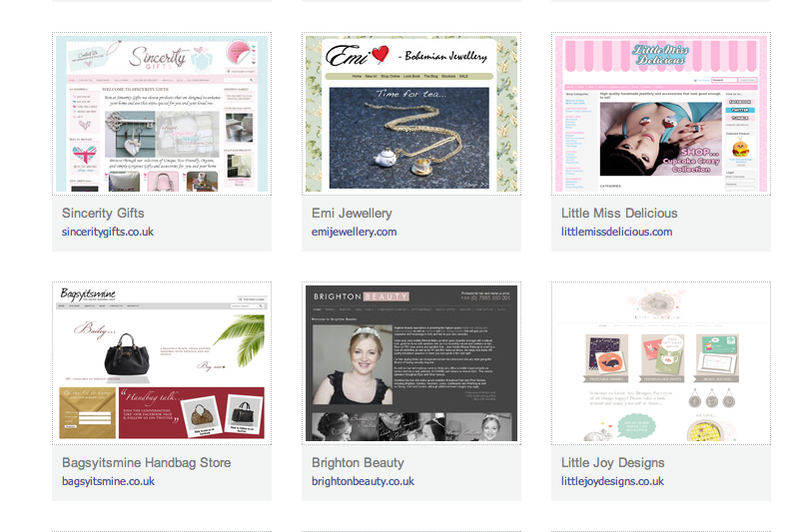 5, Keep it up!It can be tempting to get your shop online and then sit back waiting for the sales to flood in. This is not realistic! You need to proactively market your website regularly over the long term. If you don’t have much time it is best to do less but regularly, rather than a sporadic burst of activity followed by nothing for months. As a minimum, plan to blog at least once a month and update your social media and shop items on a weekly basis.Tell everyone about your new website but bear in mind that it can take time to build up your visits and sales. The first 6 months can be a slow burner. Don’t let this put you off! Stick with it and stay active and you will start to see results! Hopefully, this blog has been useful. You may still have one burning question: How do you get a website on a low budget? Ok, so we’re somewhat biased in this one as Create are a service that help you to set up your own online shop for less than £5 per month. Feel free to try out our free 30 day trial or ask any questions by dropping us a line at support@create.net. Good luck with your online selling! What an amazing summer it’s been in the UK! But September rolls around sooner than you’d think, and with it comes the annual back-to-school feeling. As well as stocking up on new pencils (or the modern equivalent – a shiny new i-pad perhaps? ), it’s the perfect time to take stock of your craft business and make some plans for the future. How about taking a look at your online marketing? There’s a huge amount of tools out there now, and it can be difficult to make sense of where to get started. Here are some top tips on two – Google Adwords, and Pinterest. Google Adwords is basically advertising on Google – you know, all those little text adverts you see above and to the side of your search results. It sounds simple, but the reality can be a bit more daunting, and you need to do a fair amount of research before you jump in and set up your account. Luckily there’s loads of free advice out there. The good thing about Adwords is that it forces you to think about target marketing. Basically, you need to choose a group of keywords that will lead searchers to your ad. There’s no point going for something generic like ‘jewellery’, so you need to narrow down your offering and group keywords together – for example ‘handmade wooden rings UK’. Pinterest is the hot new thing right now, and so big companies have started to think about how they can use the site to stealthily advertise their goods. But as a small craft business you have a natural advantage, because you’re selling something unique and different. Pinterest is such a visual medium, so the most important thing you can do is get really great photos that people are going to want to share. After that, there’s a few tips that might help you on your way. Just to finish off this post, I have to recommend the always amazing Design Trust, who have a very helpful round-up here of social media tools and how to use them. Do you use either Google Adwords or Pinterest? Do they work for you? I’m very pleased to announce that we will be running another ‘Sales for People who Hate Selling’ presentation and discussion event this year. After the success of this event last year, we always planned to organise another for those who were not able to attend that one. It will take place on Wednesday 7th November at 19:00 – 20:00 at Super+Super HQ in central Brighton; a perfect opportunity to pick up some tricks and sharpen your sales techniques in time for the Christmas period’s fairs and markets. 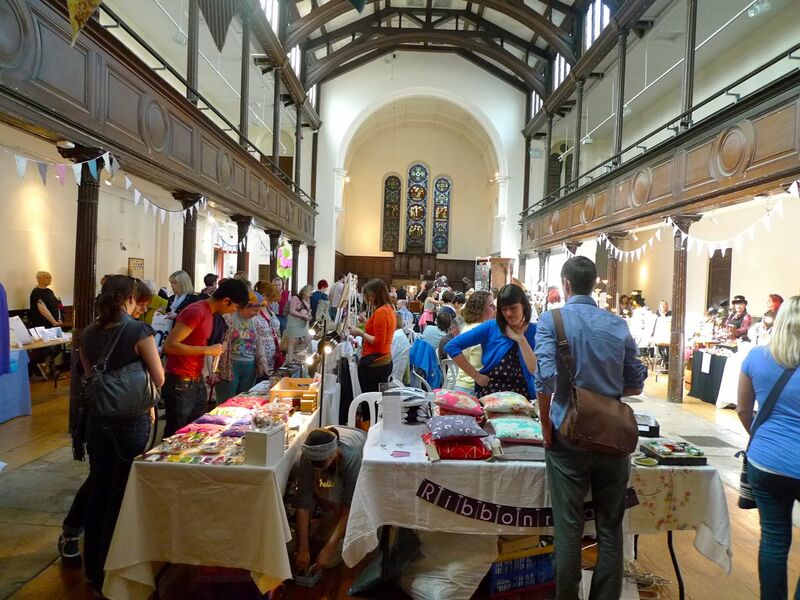 Thanks to everyone who applied to sell at the June Brighton Craftaganza. The deadline has now passed for applications. Look out for a full list of sellers on this blog soon, as well as lots of ‘Meet the Seller’ interviews, product highlights, and we have an exciting competition coming up as well! Until then, here’s a couple of interesting things from the online world to help spark your creativity. ‘How to avoid being a starving creative’. It’s all about that tricky intersection between art and money, a sticky place where lots of people get caught! You should definitely be following The Design Trust on twitter for more advice like this. And while you’re there, make sure you follow Craftaganza too, for all of our latest news. There’s a lot going on this year for craft businesses and designer-makers, so we thought we’d bring you a round-up of all the latest events and news in 2012. This event on the 7th of July in London will be all about selling! Yes, it’s not everyone’s favourite topic, but it is the vital starting point for everyone’s business. It’s an event specifically aimed at designer-makers and crafters, and you can find out more on their website here. The Design Trust are also running some FREE webinars in May, on ‘Working with art galleries and agents’, and ‘Cash flow management’. Definitely worth checking out. This is a new yearlong programme from a social enterprise, designed to teach creative people how to build successful start ups and live from their craft. It’s not cheap at £600, but it’s run by some impressive people (including Doug Richard, ex of Dragon’s Den) and could give you a kick-start into the business world. They have a website here which explains it all. If you’re planning on a trip to London any time soon, make your way to Fortnum & Mason to get some brilliant crafty inspiration. Their ‘Crafting Excellence’ exhibition is on until the end of July, and features lots of amazing work by craftsmen and women who are supported by the Queen Elizabeth Scholarship Trust. So, previously on this blog we’ve had a look at some of the many things you need to deal when starting out as a designer-maker. Pricing and marketing, tax, insurance, business planning – there’s so much to think about. That’s all well and good, but now it’s time to focus on the reason you do this in the first place – creativity. 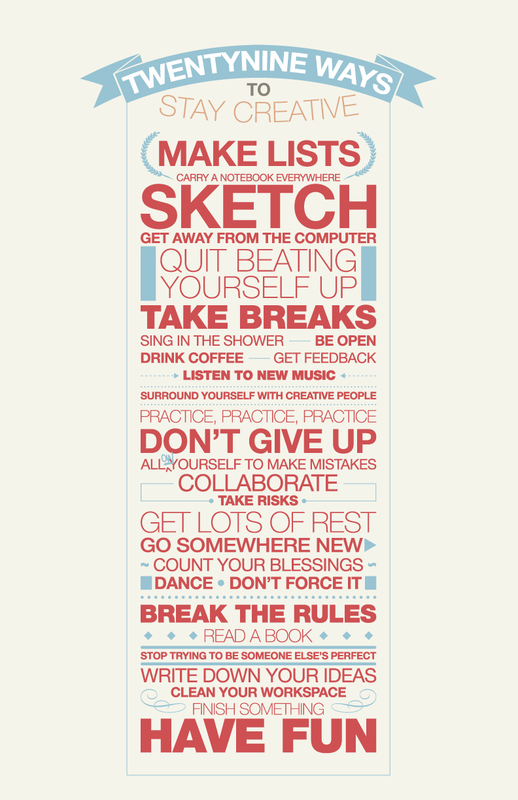 And more specifically, what to do when you experience a nasty bout of creative block. You want to make things, to get working, but it’s just not happening. What can you do? 1. Get off the internet! It’s so easy to spend hours of your life in the online vortex, convincing yourself that you just need to look up one more thing. If you’re doing this, shut the laptop and go for a walk, or make the dinner, or go outside and dig the garden. Anything that keeps your body busy but lets your mind wander. You are unique. This is corny but true. Looking at what other people do and comparing your own work will only ever depress you. There’s a great blog post here from Angry Chicken, about the importance of training yourself to think ‘Good for you!’ whenever you hear about somebody else’s success. Remember that the supply of good luck and opportunity in the world is unlimited. Other people’s achievements don’t mean that you are less likely to succeed. Think back to art class at school, where you were only allowed to use crayons, or charcoal, or you had to draw the same still life as everyone else. Giving yourself creative limits forces you to think your way around problems, instead of being paralysed by endless possibility. Tell yourself that you can only use one kind of fabric and one kind of thread. Limit yourself to working in one colour, and make it one you usually hate. Or get your family and friends to suggest a restriction you might not have thought of by yourself. And make sure you stick to it. Routines might seem like the enemy of creativity, but there’s evidence that doing the same thing every day can help you tap into your sub-conscious and get creative faster. Read more about that here. Sometimes it can be hard to take your own work seriously enough, especially if you have lots of other commitments. Make a plan for when you’re going to get down to work, write it in your diary and keep to it. You might want to check out The Artist’s Way by Julia Cameron for more about this. Perfectionism is the enemy. If you’re scared to make something that’s a bit rubbish, you won’t make anything at all. Michels told the writer to get an egg timer. Following Michels’s instructions, every day he set it for one minute, knelt in front of his computer in a posture of prayer, and begged the universe to help him write the worst sentence ever written. When the timer dinged, he would start typing. He told Michels that the exercise was stupid, pointless, and embarrassing, and it didn’t work. Michels told him to keep doing it. Did it work? Read more online at the New Yorker to find out. You can also use this timer technique to force yourself to work. Set it for 25 minutes and get started. By the time the buzzer goes you’ll probably be absorbed and interested enough to keep going (this also works for house cleaning…sometimes). Just for a little while. Give yourself permission to do other things. Now might be a great opportunity to tackle your tax return, or organise all your receipts, or finally figure out how to update your website. You’ll be begging to return to the studio and get working in no time. What do you do to stay creative? Do you find it hard to juggle designing and making with everything else going on in your life? Making and selling your own work can be so satisfying and rewarding. But at the same time there’s so much to think about that it can also be incredibly frustrating! From working out what to charge, to setting up your online shop, to marketing your work, not to forget actually making the products. 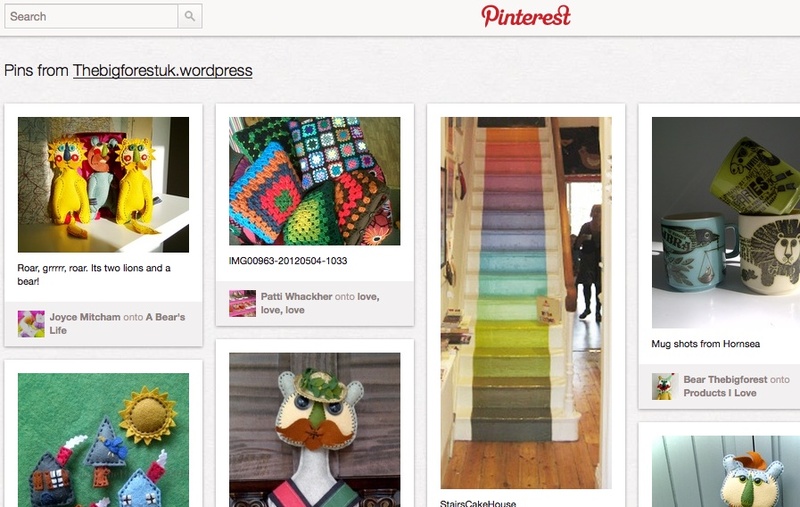 But the good news is that there’s loads of free advice out there online for designer-makers. To help you make sense of it all, we’ll be posting a couple of round-ups of the best tips on the internet, and today we’re looking at Pricing, Marketing and Selling Online. A good overview of the subject from Design Sponge. And if you want to get really in-depth, accounting company MyCake have a whole series of posts about pricing on their excellent blog. So now you have your lovely hand-made goods and you’ve worked out your prices. But how do you let people know your work exists? 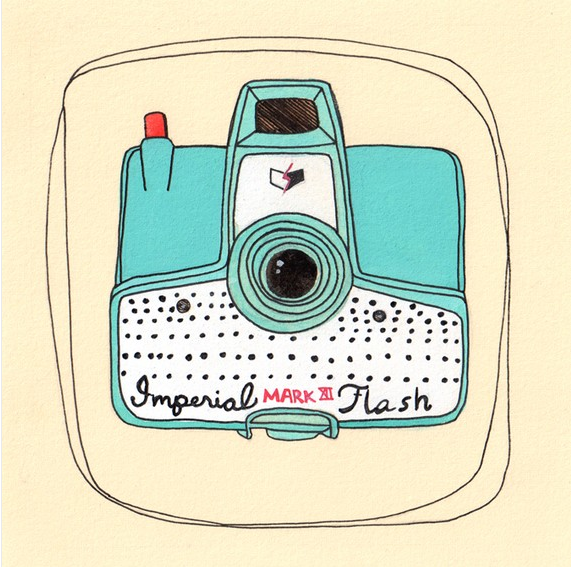 A brilliant post on this very blog on the best cheap/free ways to market your craft business. A very useful chart from Handmade Lives to help you diagnose your marketing problems, whether you’re struggling to make a living from your work or just not getting steady sales. We hope that was useful for you – look out for another post later this week with some more informative links. And if you have any of your own, post them in the comments here!